AR for kids – what’s good and what’s next? Since the advent of the television, computers and more recently the iPhone, audiences have been transfixed by screen-based content. But now, with AR, we are asking our audience to look through theIr screens – back into their world – and interact with it in a totally new way. A profoundly simple idea – and one which has actually been around for a very long time – but sometimes even the best ideas require technology to catch-up, and for AR, it just has. Within the next 12 months, AR will start to make our world look and feel radically different – and brands and storytellers will need to be all-eyes. 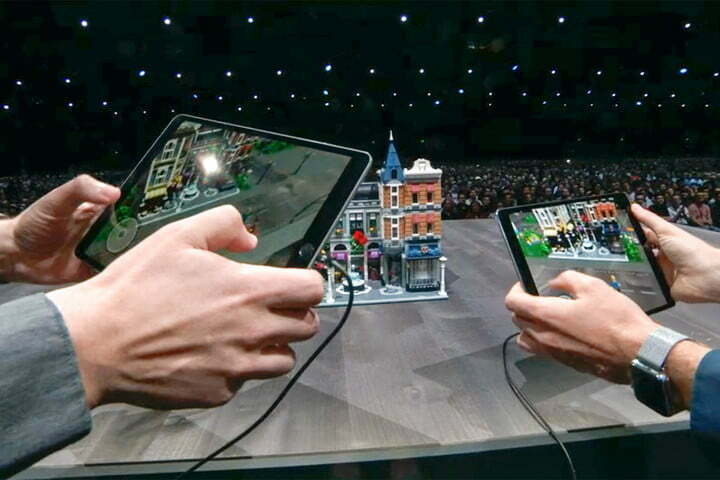 At Apple’s WWDC, LEGO showcased their vision for how AR will transform their toy proposition, taking a step further towards a form of digital play which positions equally the physical act of building alongside the digital act of playing: a bold strategy which future proofs LEGO in an increasingly digitally-centric toy market. That’s LEGO’s strategy, but what should be informing yours? At PRELOADED, we believe that the strongest digital strategies for new technologies align business objectives with audience need – challenging the application from the outset. Why is AR the best technology to showcase this content objective? What does this format offer the audience that others don’t or can’t? So in this blog, we provide some context on the state of tech for AR, and share some strong examples that we think express the power and originality of this new medium. LEGO showcased their vision for how AR will transform their toy proposition. A step towards a new form of digital play which equally positions the physical act of building alongside the digital act of playing. Today AR is most commonly experienced using the Phone or Tablet’s camera, acting as a window into a different view of world. This is soon to be complimented by a swaith of much anticipated Headsets (eg, Magic Leap, Hololens, Leap Motion, Microsoft MR) freeing up hands and opening up the potential for a much more natural experience. Current opinion suggests AR will dwarf VR in terms of market size and utility. This is predominantly based on the existing prevalence of AR-enabled devices (over 90 million! ), but also more practically on the relative cheapness of creating content for a world, rather than the world itself. Industry echoes this sentiment with the big players such as Google and Apple continuing to invest (and jostle) for a marketing leading SDK (Apple currently winning, with over 13 million AR apps built), social platforms enabling AR experiences (eg. Snapchat, Facebook) and VR manufacturers rushing to introduce front-facing cameras to their headsets to future proof their positioning, such as the new VIVE Pro out soon. Whilst Google and Apple’s technical approaches are very different, what they share is a belief that AR has an opportunity to profoundly transform the way we consume digital content, much like iPhone did over 10 years ago. But what are the possibilities of AR for brands right now? We love to learn from others – so here are some of our favourite kids AR experiences which we think demonstrate some of the new ways you can play with and connect with audiences using AR. If your brain is already bubbling with ideas, PRELOADED has also created a set of design patterns to further refine your thinking in this space, on the basis of recent AR projects. Walk this way. LEGO AR Studio (WWDC announcement video) – This AR experience from LEGO allows children to explore their creativity by mixing virtual and physical sets to create brand new experiences during playtime. Children can build their world, then use the app to extend the play by virtually controlling enhanced versions of LEGO models. With ARKit2 this experience can be now be played with friends where they can create worlds and take on virtual missions together. Snap AR (gameplay video) – A set of new experiences from Snapchat, which uses facial recognition technology beyond mapping comical accessories to your face, to power their suite of AR mini-games. In Mexican Chef (our favourite! ), opening and closing your mouth slices cucumbers. Why not. 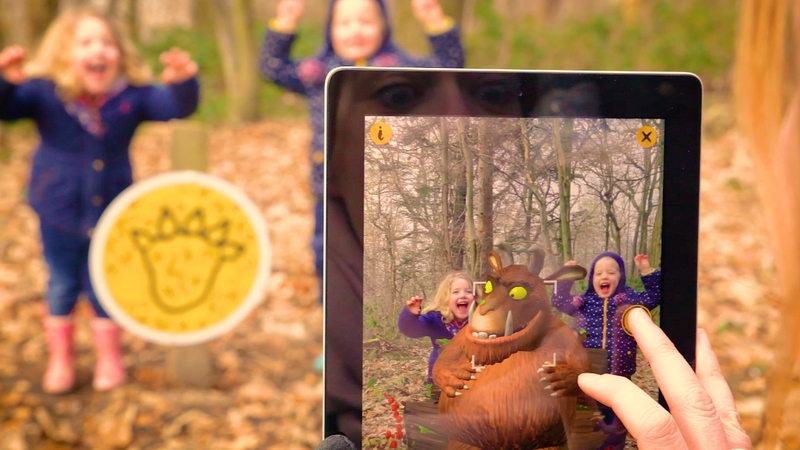 The Gruffalo Spotter App (gameplay video) – An inspired collaboration between Magic Light Pictures and the Forestry Commission, The Gruffalo Spotter uses AR to bring to life Julia Donaldson’s famous characters in their natural habitat. Using a phone or tablet children and families can discover characters by scanning image markers distributed along a pre-determined Forestry trail. Amazing world of Gumball (Demo video) – Bring the characters from Gumball into your living room. Using ARKit’s plane detection the characters sit within the environment complete with full charectipsaton and shadows. This basic demo highlights the palpable opportunity for synchronised 2nd screen experiences. World Brush (Gameplay video) – A GPS based painting experience from Active Theory, which allows users to paint on the world for others to discover. Using the phone or tablet children can create their drawing in real-world space. ARKIT/ARCore provides tracking relative to where the phone is. Moving around while painting results in a 3D drawing. 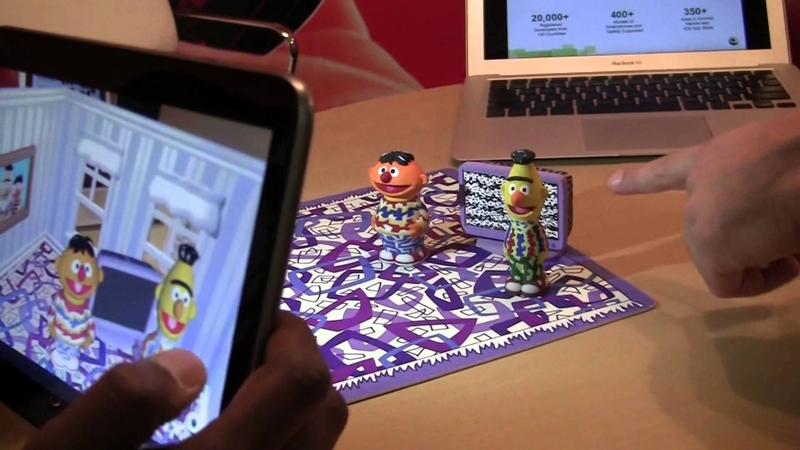 Bert and Ernie’s Apartment (Demo video) – A polished tech-demo from Qualcomm and Vuforia which brings Sesame Street’s Bert and Ernie characters to life in their apartment. Utilising a combination of image marker and 3D object recognition. The experience encourages combinatorial play which is reinforced with digital payoffs, such as adding a Jukebox to the scene to trigger them dancing. Very Hungry Caterpillar (App trailer) – A beautiful open-ended experience from StoryToys Entertainment which brings the Very Hungry Caterpillar right into your living room, kitchen table or even garden without a need for a marker. 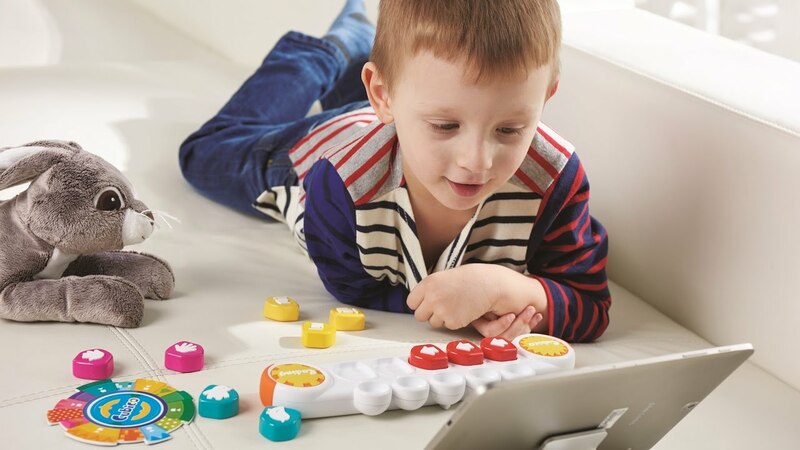 Encourages exploration through a set of open ended interactions. Avengers Infinity War: Hero Vision (Toy trailer) – Become Iron Man and battle foes in this costume-come-AR-battle-game. The phone is used as the lens into the AR world, whilst a hand-mounted weapon is image tracked to determine position within the world, allowing missiles and lasers to be dispatched with some accuracy. Quick to market and very well suited to IP. 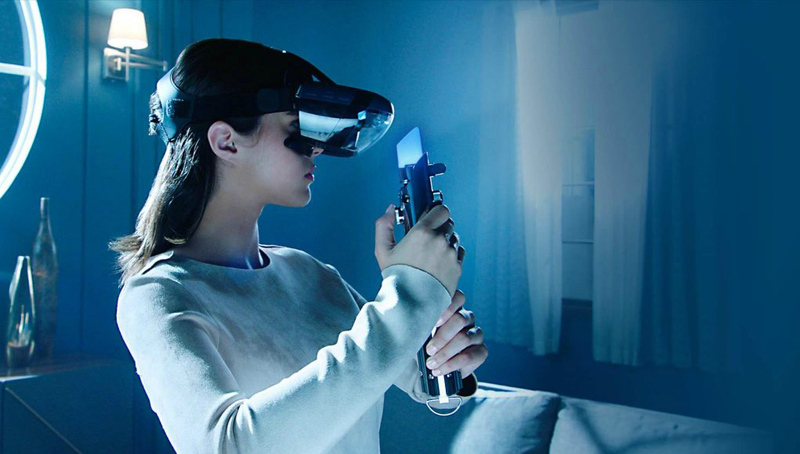 Lenovo: Jedi Challenges (Engadget video review) – Take part in a variety of Star Wars based games – including Light Saber battles – using a phone-based AR headset and Light-tracker based peripherals. A quality first-to-market product which seeds the market – and expectation – for more fully functional experiences. Hot Wheels: Augmoto (Engadget video review) – A multiplayer digital to physical racing platform from Mattel, which uses AR to create a video game-like experience using a physical track. The app augments play, enabling each player to affect the real world track from their tablet. Players clear hazards, perform pit stops and ultimately try to eliminate each other using virtual missiles. The app comes loaded with a series of game modes for hours of play. Crayola COLOUR ALIVE (Customer review video) – Using a mix of printed activity sheets and colouring in books with a digital app, crayola created an interactive colouring in experience that brings to life a child’s colouring in and favourite characters. Whilst quite old, this example tests so brilliantly with kids, showing the power of UGC coming to live in your (AR) world. Cubico AR kids coding (App trailer) – A playful and engaging experience for preschool kids allowing them to code using interactive AR and fun storytelling. A digital / physical crossover product utilising image markers for inputs and articulation of the digital world. PRELOADED believes passionately that technology can be a great enhancer of children’s lives, rather than a distraction. AR – perhaps more than any other technology – offers brands, publishers and IP holders the ability to pull away from the confines of a screen and bring the audience back into the real work, making possible those shared experiences that are so critical for children’s social and emotional development. Over the next 12 months, we will see radical shifts in the technological landscape, which will take AR from tablet based to goggles and beyond. To make the most of all the amazing opportunities for engagement, your use of AR – or even your strategy – needs to be firmly connected your brand values and the needs of your audience. Do you have existing IP that might suit an AR experience? Or do you have an existing product that could be enhanced by AR. Or perhaps you have a vision for how the technology could be used create new forms of digital / physical play? Our expertise in immersive technologies and children’s audiences can help get this to market. Or if you’re simply curious about the tech, drop us a line to chat through the possibilities – at hi@preloaded.com. To make the most of all the amazing opportunities for engagement, your use of AR – or even your strategy – needs to be firmly connected your brand values and the needs of your audience. 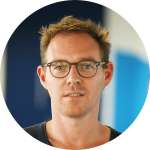 Phil is the founder and Creative Director of PRELOADED. A fanatical gamer and a champion for the power of games which do more than just entertain, he is responsible for the studio’s ‘Play with Purpose’ vision.